Camaraderie and Community are both hallmarks of the Seesaw’s story. 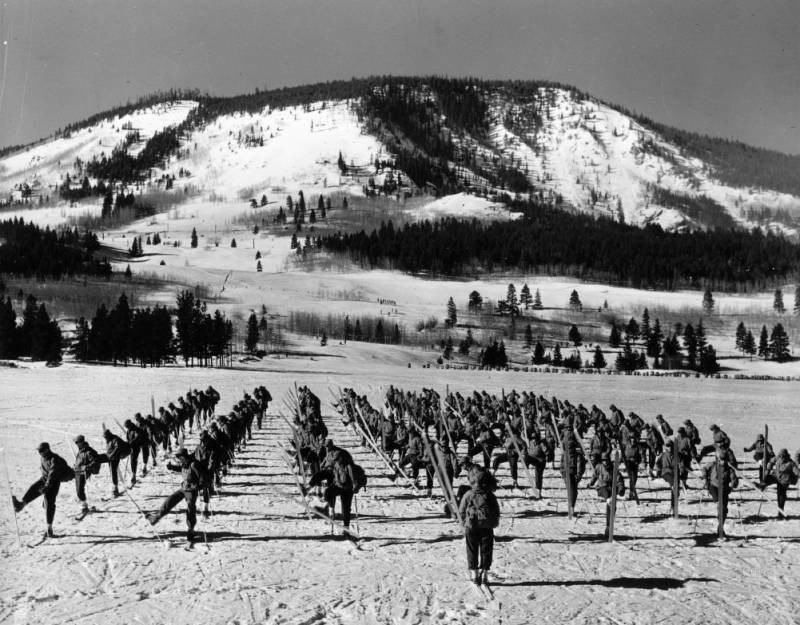 Add the moonshine days of the 1920’s dance hall, the post-skiing late night frolicking of the late 1930’s, and the six bunks per room sleeping arrangements above the restaurant of the 1940’s to envision the historic Seesaw’s where many a relationship began. Seesaw’s has a long history of bringing people together. 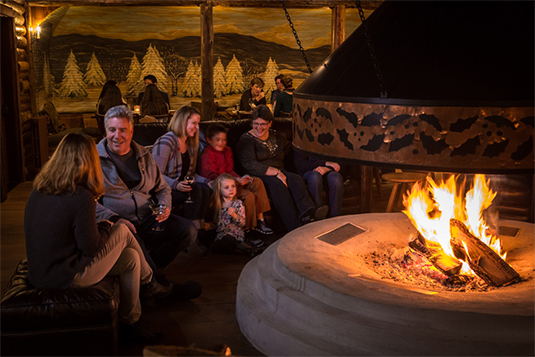 When Ryan and Kim Prins decided to re-open the famed ski lodge, they felt a duty to be the next stewards of this gathering place that has brought together so many people over such a long period of time. Over the last four years, countless stories have been told about relationships, love, friendship, and family traditions created under the Seesaw’s roof. After we purchased the property in mid-2015, stories came out of the woodwork both literally and figuratively. From the famed plaques that hung on the walls, to those who posted warm messages on social media or took the time to craft stories to share on the Seesaw’s website–tales of friendship, love, and frivolity at Seesaw’s swirled. With Valentine’s Day on the horizon, we’ve decided to honor the history of those who have connected at Seesaw’s and who help ensure that Seesaw’s is a place where that wonder remains and the traditions continue. It all goes back to the beginning, when the roadside dance hall, the Wonder View Log Pavilion, was operated by Ivan Sesow and his wife Vinnie. 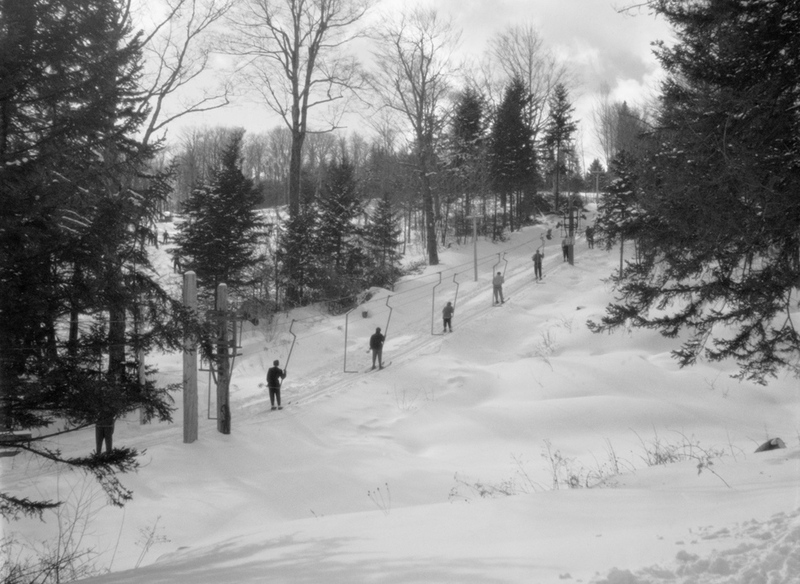 Next came Bill and Mary Parrish, along with Mary’s brother Lew deSchweinitz and his wife Betsy, who grew the lodge into one of the east’s premier ski destinations. And then Gary and Nancy Okun carried the torch. Now, Ryan and Kim Prins have reimagined the property with an eye toward maintaining the Seesaw’s ethos and continuing longstanding traditions. What is it that makes Seesaw’s work best as a lodge operated by a duo? Perhaps it’s the spirit of the place itself. It’s a labor of love and home-away-from-home for so many; who other than a family could run it with the passion, dedication, warmth, and hospitality that it both deserves and embodies? 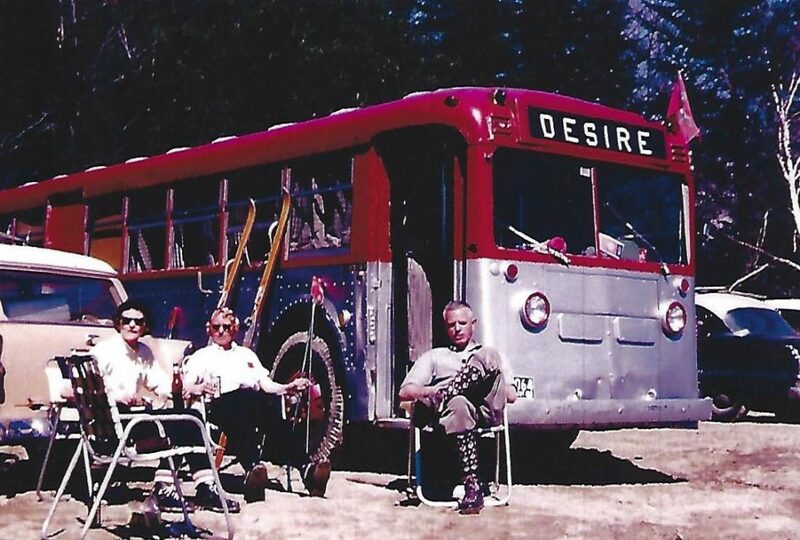 Just a few weeks ago, we learned about a vintage bright red bus named “Desire” driven up by the Stout family for weekends in Vermont. Desire’s final resting place was Seesaw’s where they plugged into power and became part of the lodge’s history and lore. Desire is a name that seems fitting for our Valentine’s celebrations. Its red color could not be missed while it was parked by the restaurant. 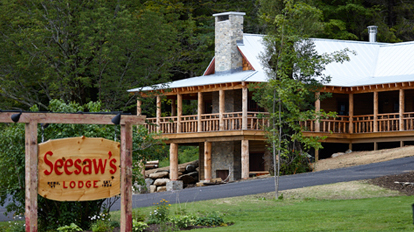 Serving as the host for a Vermont home-away-from-home, its spirit matched well with the Seesaw’s family and the bus’ family and friends are forever embedded as part of the lodge’s storyline. As we celebrate the upcoming Valentine’s Day, we would like to honor all of the relationships in which Seesaw’s played a role. We want to hear your own Seesaw’s love stories. Share them with us on our site. We look forward to the reimagined Seesaw’s fostering new relationships, friendships, couples, families, and the like. 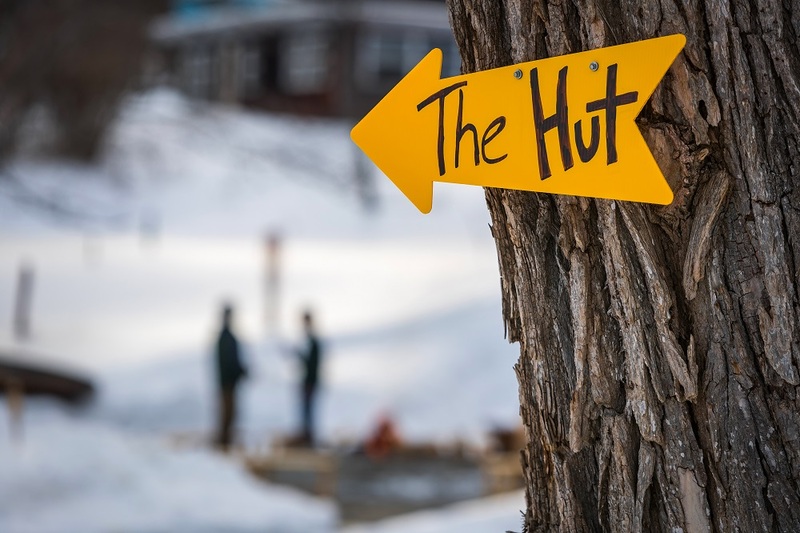 There’s still much more to come, but one of our recent additions is a passion project that just couldn’t wait…and it has come just in time – the Warming Hut. 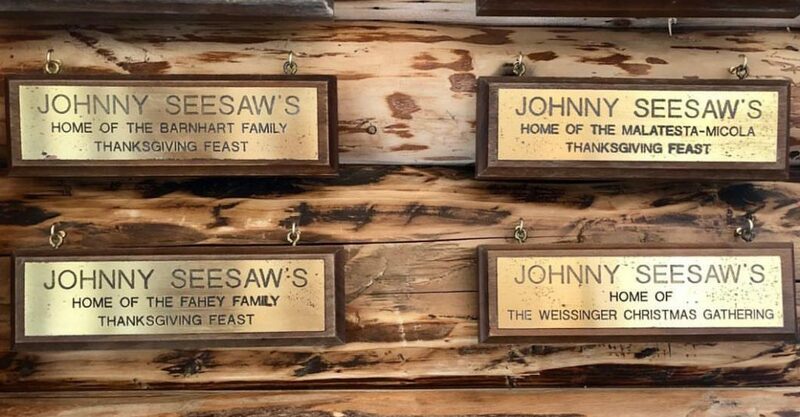 Since 1924, Johnny Seesaw’s has invited guests to gather around the copper-clad fireplace and warm both their toes and their spirits. It was a place full of joyful celebration and rollicking fun. If an historic and much-loved but dilapidated ski lodge came onto the market, what would you do?